Sure, being on the short side may preclude you from going on a few rides at Disney or from reaching that oddly placed kitchen cabinet — you know, the little one above your fridge — but there is nothing wrong with not being tall, and these short celebrity women would probably agree. For instance, Game of Thrones‘ Emilia Clarke is one badass chick. The Mother of Dragons slays both onscreen and off, and she does so while standing at 5 feet, 2 inches tall. In short, she’s a pint-size powerhouse. And Clarke is not alone: Lady Gaga, Kristen Bell and the Olsen twins all command attention in spite of their small size. So, who else makes up the list of short celebrity women? Here are 25 ladies who are surprisingly (and some not-so-surprisingly) 5 feet, 2 inches or shorter. These ladies may be small in stature, but they’re definitely not short on personality and talent. Bad Moms star Kristen Bell is 5 feet, 1 inch tall — a full 14 inches shorter than hubby Dax Shepard. At 5 feet tall, singer, dancer, choreographer and television personality Paula Abdul is a pint-size powerhouse. 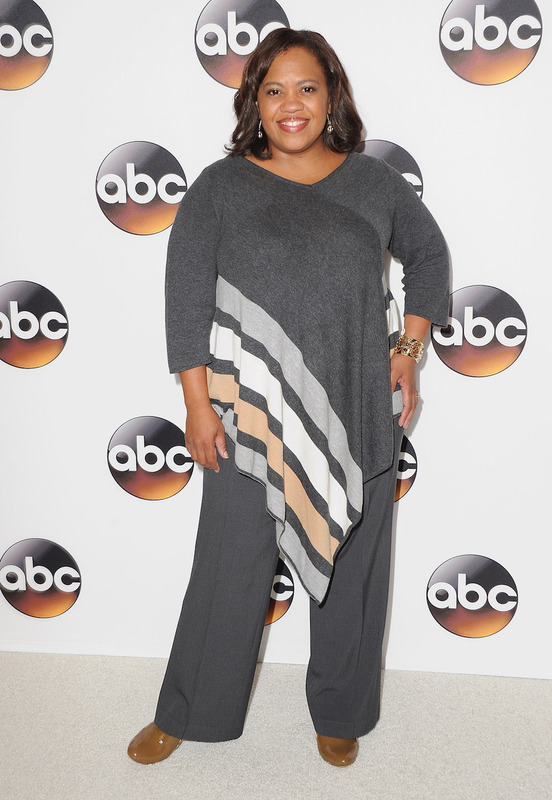 Can you believe larger-than-life TV personality Chandra Wilson is just 5 feet tall? We can’t! At just 4 feet, 8 inches, Jersey Shore alum Nicole “Snooki” Polizzi is the smallest celeb on this list. Game of Thrones star Emilia Clarke is a fierce badass and just 5 feet, 2 inches tall. Veep star Anna Chlumsky is 5 feet, 2 inches tall. Your favorite Younger star, Hilary Duff, measures in at 5 feet, 2 inches tall. Pitch Perfect star Anna Kendrick comes in at 5 feet, 2 inches tall, packing a ton of talent into such a small frame. Comedian and former SNL star Amy Poehler is 5 feet, 2 inches tall. Just because she’s the oldest, that doesn’t mean she’s the tallest. In fact, Kourtney — the eldest Kardashian sister — measures in at only 5 feet tall, while Kim comes in at 5 feet, 2 inches and Khloé at an impressive 5 feet, 10 inches tall. Hayden Panettiere has stated her height as 5 feet, 2 inches tall in the past, but experts speculate the Nashville actress is more likely an even 5 feet. Lady Gaga’s stage presence totally overshadows the fact she’s just 5 feet, 1 inch tall. She may have a commanding voice that would stop anyone in their tracks, but Vanessa Hudgens is a mere 5 feet, 1 inch tall. Superstore star America Ferrera is 5 feet, 1 inch tall. She may be short in stature, but she's tall in stage presence! At only 5 feet tall, country legend Dolly Parton relies on the clever use of big hair, big shoes and a big personality to add inches to her tiny (in most ways, ahem) frame. She may not look it, but Good Girls star Mae Whitman is just 5 feet tall. Eva Longoria's personality takes up so much room on the small screen, it's hard to believe she's 5 feet even! Christina Ricci — who earned our eternal fandom for her beloved roles in the cult classics Casper, Mermaids and The Addams Family — likes to joke, “I’m 5 foot 1 first thing in the morning,” adding an inch to her height of 5 feet even. Reese Witherspoon is a little over 5 feet tall, an entire foot shorter than her husband, Jim Toth, who’s 6 feet 1, inch tall. At only 4 feet, 11-1/2 inches tall, Jada Pinkett Smith tends to round her height up to 5 feet even. Another petite powerhouse with a thing for tall men, Pinkett Smith is famously towered over by her 6-foot-2-inch husband, Will Smith. Could Kristin Chenoweth be any more adorable? Always one to look on the bright side, the perennially peppy star embraces her short stature, saying, “I used to want to be tall, and then I thought, ‘If I were tall, then people would say I was pretty, and not cute.’ And then I realized there are worse things than being called cute.” She’s just 4 feet, 11 inches tall!